Are you tired of paying HUGE monthly bills just to watch TV?!?! 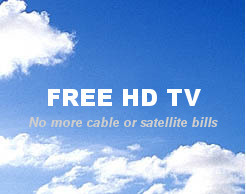 Are you paying $50 - $100 or more per month for cable / satellite service? Did you know you can receive 18 - 30+ channels in the Greater Toronto Area? Or click here to book your installation NOW! 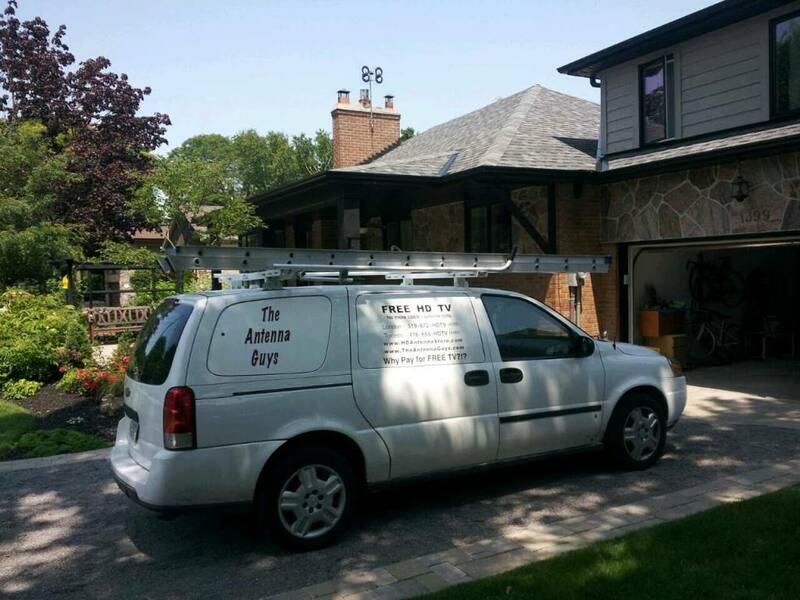 After more than 1000 installations in over 6 years in Toronto and area we have come to the conclusion that one antenna works pretty much everywhere in the city and is small and compact. The Clearstream 2 has greater range (50+ mi) than the Channel Master 4221 (45 mi) or it's no-name clones - what you buy at the Discount Electronics stores for under $50. It is 1/4 the size of a Channel Master or Korean Clone 4-bay antenna and has a lifetime warranty. The Antennas Direct Clearstream 4-V (Replaces the Discontinued C4) has 15 miles more range than the C2-V, and will help to fight through storms a bit better for reception of Buffalo channels, or if you are more distant from transmitters. It is still only 20" x 28" (1/4 the size of a common 8-bay antenna with 5 miles more range) and also has a lifetime warranty. If you live in an area where signals are coming at you from two discreet directions over 60 degrees apart (South-east Scarborough or Oakville are two examples - ask for details), use the DB8e. It has bi-directional aiming abilities. It is also a good antenna for north of the City - it has a range of 70+ miles - 10 miles more than an 8 bay antenna. Record, Pause, Playback, Time-Shift all of your favourite shows onto a USB Drive - never miss a show again. The Channel Master DVR+ comes with a WiFi adaptor ($400 without) so you can download the on-screen TV Guide. It also uses the same connection to allow you to use YouTube on your TV (my mom searches for episodes of "Murder She Wrote"). As of June 15, 2015 it now also offers an additional 30 channels of Internet TV - from music videos to cooking shows to News Programs from all over the world. Now you have all of the internet streaming you ever wanted. Your TV MUST have an HDMI input to use this Digital Video Recorder. HOW IS YOUR CELL PHONE RECEPTION AT HOME OR WORK? If you are experiencing Problems with Cell Reception and Data Download on your cellular phone or tablet in certain areas (or all areas) of your home or Business - The Antenna Guys can help you!! Cell signals can be degraded by building materials (especially reinforced concrete and metal) and distance from the cell tower - resulting in dropped calls, longer downloading times, and stuttering streaming. Since so many of us rely on our cell phones in our daily lives - we must fix the problem. The weBoost Connect 4G-X Signal Booster is designed to provide you with reliable signals and consistent data when you are streaming movies or making a call. Your cellphone signal will see immediate coverage boost after connected and you can always stay connected! Longer battery life for cellular devices.